Experienced in the trade, our skilled workforce specialises in performing electrical installations and repairs for domestic customers. At AP Electrical Contractors, in Plymouth, Devon, we’re a reliable company that you can trust. Whether it’s faulty lighting that needs fixing or your entire property needs rewiring, turn to us and our handy electrical services. AP Electrical Contractors is a company that offers a vast range of domestic electrical services. From a simple repair to a complex installation, we do it all. We reliably provide a number of dependable solutions that can be tailored to your household. The work our fully qualified professionals carry out is done to a high quality. And we ensure the project is completed both safely and efficiently. Don’t settle for work that’s been completed by unexperienced people in the trade. When there’s faulty electrics in your home, it’s essential you choose a company that can solve the problem in a prompt and professional way so that your family and friends aren’t at risk. Ensuring that your electrics are completely safe, we work tirelessly to get your systems back up and running. Next time you experience any electrical problems at home, call upon our skills and expertise. 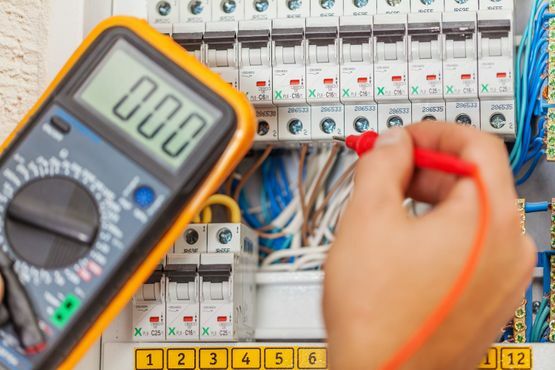 Contact us today, in Plymouth, Devon, for further information about our domestic electrical installations and repairs.